L'Occitane Nourishing Nail & Cuticle Oil with 30% Shea Oil, 0.25 fl. oz. FHF Honey Chai Steeped Milk Lotion Cream. 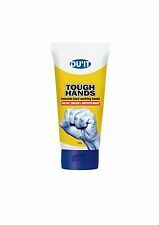 Formulated for your hands, but is effective on any dry skin area. 2.4 oz Tube. Il s applique en 1 ou 2 couche sur ongles propre et sec. Longue tenue. 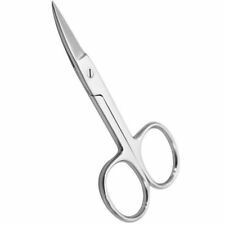 After a few applications, the cuticle is less sensitive and the nail already feels and appears much stronger. How to apply cuticle oil. • Massage into nails and cuticles nightly. One drop revitalises cuticles and nails, for beautiful, healthier-looking hands and nails. Avon Nuturing With Glycerine Hand Cream X 6 . Condition is New. Dispatched with Royal Mail 2nd Class. 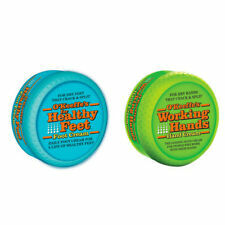 Working Hands & Healthy Feet Jar Set. Water is necessary for the survival of each and every cell in the body because skin cells require water to function properly and effectively. O'Keeffe's for Healthy Feet. DERMOVITAMINA MICOBLOCK Soluzione Ungueale contro Funghi Unghie 7ml. Sono escluse dal servizio la Laguna Veneta e le isole minori. Santi Rabita, dalla Sig.ra Loredana Costa, dal Sig. La Farmacia è dotata anche di ascensore per disabili per l’accesso al piano superiore. Designed to Effectively Relieve Dry Hands that Crack and Split. Size - 96g Screw Top Pot. Deb Stoko type SIN100ML. Suitable for allergy sufferers & eczema prone skin. Supplied in a100ml tube. Great Range of Products. Non-greasy formulation. 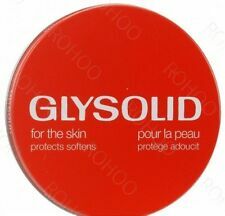 Accelerates dry skin's ability to repair itself. 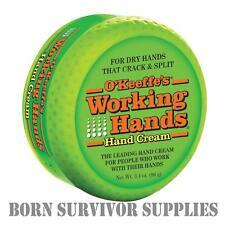 Instantly soothes and softens dry and rough hands. project by:MS IT Services. WHY BUY FROM US?. We will always do our best to resolve any issues. MIXA SOS REPAIR HAND CREAM 50ML. Enriched with Cold Cream, the SOS Repair Hand Cream leaves skin feeling nourished & soothed whilst smoothing the feel of roughness on the skin's surface. Non-greasy, non-sticky this formula penetrates quickly. 100 MLS B /NEW. WITH NUTRIENTS & EMOLLIENTS. The extract of portulaca oleracea and chamomile evens the skin natural radiant tone. 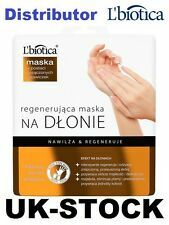 L'BIOTICA, MASKA REGENERUJĄCA NA DŁONIE, NASĄCZONE RĘKAWICZKI, 26G. How to use: thoroughly wash and dry your hands. Bei geringen Belastungen bietet sie Schutz gegen schwache Säuren, Alkalien und organische Substanzen. Haltbarkeitsdatum: 07/2021. Emulsionstyp: Öl in Wasser. Das Tastgefühl wird nicht beeinträchtigt. The Chemistry Brand Hand Chemistry Pro-repair Skincare 100ml BNIB Sealed. Condition is New. ® K schützt und pflegt die Hände mit echter Kamille und natürlichem Bienenwachs. Emulsionstyp: Öl in Wasser. Stärkt die Abwehrfunktion der Haut, beugt Hautschädigungen durch äußere Belastungen vor und wirkt normalisierend auf gereizte Hautpartien. Softens Hands & Strengthens Nails. Specially created for very dry skin. A blend of vitamins supports nail strength and softens cuticles. 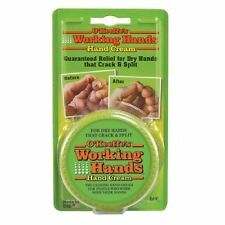 This luxurious cream features a custard-like formula that absorbs quickly while treating dry, rough hands and cuticles. The lotion is aromatic with a deliciously fresh peach scent. [ TONY MOLY ] Peach Hand Cream 30g Free Sample . NUXE REVE DE MIEL HAND & NAIL CREAM . We will always help you to have a 100% positive happy buying experience. SUITABLE FOR ALL SKIN TYPES. Paraffin • Beeswax • Aloe and Marigold oil extracts • Shea butter. Oxynex K® complex rejuvenates delicate hand skin and protects against harmful action of external factors. Eliminates symptoms of flabbiness, tightens skin lightens spots and discolorations. PATISSERIE DE BAIN HAND CREAM. SUGARED VIOLET 50ML. PATISSERIE DE BAIN HAND CREAM. Patisserie de Bain Lemon Bon Bon Hand Cream is fragranced with lashings of essential oil of lemons. LEMON BON BON 50ML. PATISSERIE DE BAIN HAND CREAM. STRAWBERRY CUPCAKE50ML. Sanctuary Spa Hand Cream 75 ml & 30 ml Duo. Condition is New. The OPI Avojuice Juicie Skin Quencher is absorbed quickly, leaving your skin with a fragrant, smooth and non greasy feel. Hand Chemistry Pro Repair Skincare For Hand Cream 30ml Sealed No Box. Please note: tube is bigger than contents but is sealed. Pro FX Nail GROWTH #174 QUICK-ON-THE-GROWTH 2.5oz Salon Formula FRESH! 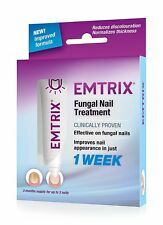 Pro FX Nail Treatment #166 NAIL REPAIR 2.5oz Salon Formula FRESH!